Hello and Happy Tuesday everyone! We hope you had a great time playing along with our last sketch and SPONGING! It's wonderful to see the same names playing each week and super fun to see new ones! Challenge #54 brings us an entire new sketch to work with, and another chance to win free stamps for playing along with our challenge. Here's my card using the newly released PK-288 Skunk Cheer Up stamp set. from Peachy Keen Stamps. Isn't he a cutie?!!!! I colored this little fella with my Copics, using everything from C1-C9. Black is one of the most difficult things to color, but I love a good challenge, and this was just that!! ;-) The paper I chose for this card comes from Basic Grey's Sugar Rush Line, and embellishments are simply the pearls and swirls of pearls. I did use my Creative Memories decorative corner punch for something a little different to round out the corners of the square panel. 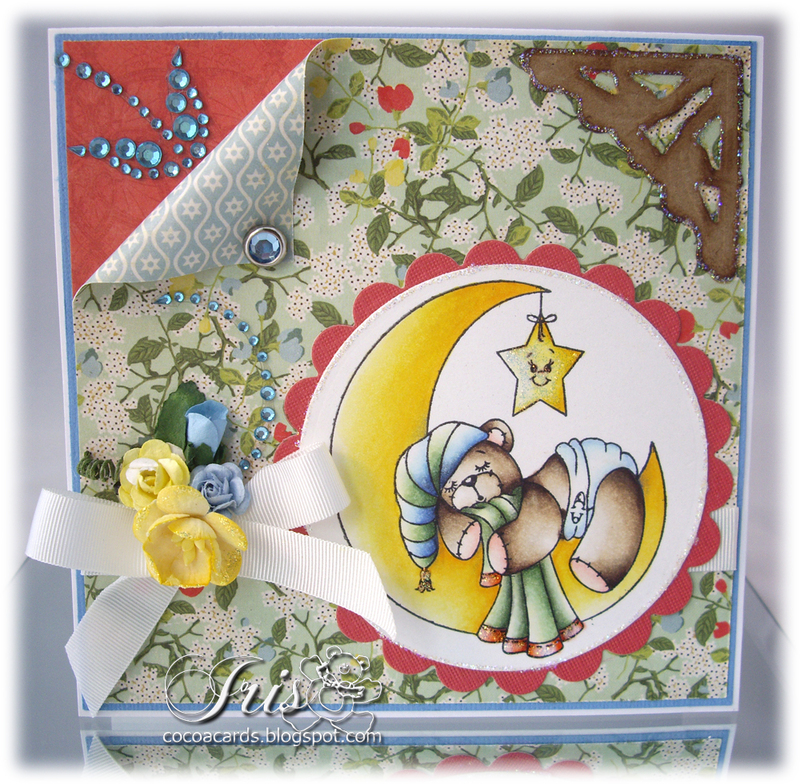 For today's challenge, we are so excited to welcome Linda from Scrapcat Cards! Linda has been a regular player in our challenges, and we always love seeing her creative works of art! You have to go check out her punch collection she posted on her blog. Talk about punch envy! he he! We are so excited to see all the projects Linda has lined up for her guest week! You can check out her first post on our HOME blog. Be sure to check back each day to be eligible for her giveaway! 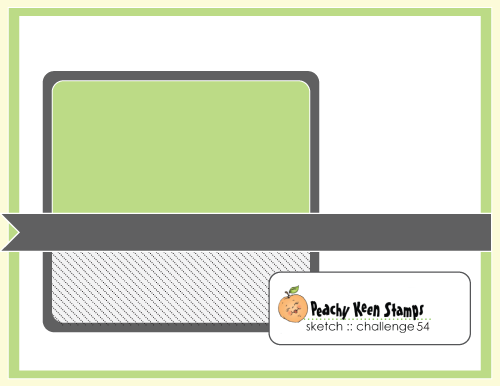 Now, don't forget to check out the Peachy Keen Challenge Blog to see what our awesome designers have created with this amazing sketch, and below, you will find all the details you need to play along. Project must include basic elements from the sketch, but feel free to get creative and flip them. 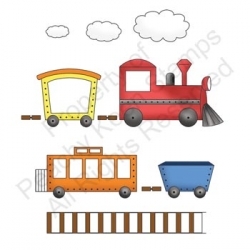 One random winner will receive a Train Set Stamp Set! Link up your creation on the PKS Challenge Blog for your chance to win!!!! Thanks so much for stopping by today! Have a blessed and beautiful day! Happy stamping!!!!!!!!!!!!! Lorie this card is amazing! Love your furry skunk and the flowers with the pearl centers are perfect! Always inspiring! Oh, what a fun sketch!! Love your take on it! That is one happy skunk, by the way.....who knew skunks were so personable?? That is one adorable skunk! Great card and super-duper coloring! LOVE the coloring! The texture of the fur is just perfect! Amazing and inspiring work like always! Aww Lorie! I knew your skunk would make mine look sick! Ha Ha! I really MUST practice black a lot more to be SOMEWHERE near as good as you are! omgoodness, that little skunkie is too cute for words!! Blog Hopping with Hillbilly Holler!! !